As of 2016, Inferno has been in training and is currently shown in the low jumpers. Dereusa was imported from Holland in the spring of 2010. As a three year old, she scored a 79 at her mare inspection, earning her ster and keur predicates. 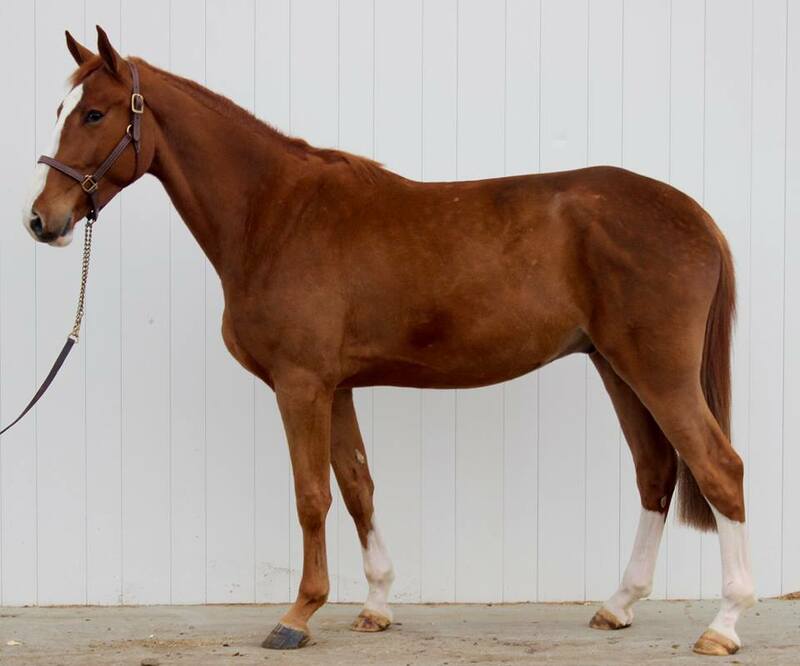 Dereusa comes from mareline 114/176 Koteusi-Stam,known for consistently producing high performance progeny such as Okidoki, Illusion & Etoulon.Utereusa is the dam of the popular KWPN approved stallion Etoulon sired by Toulon. Dereusa and Femke van den Bosch currently compete at a 1.40m to 1.50m level. Tangelo made his breakthrough at international level in 2004 and had remarkable achievements under Roelof Bril. His offspring are known to jump sharply off the fence, with good technique and a lot of power. In the free jumping chute many Tangelo children score 85 to 90 points.